Looking to feel more empowered in this political climate? Tired of reading and watching the news and then wanting to hurl into your handbag? Sick of tuning out but confused on how to jump into the fight? If you’re looking for an easy-to-understand way to get more involved or to help your children get more involved, you’ve come to the right place. 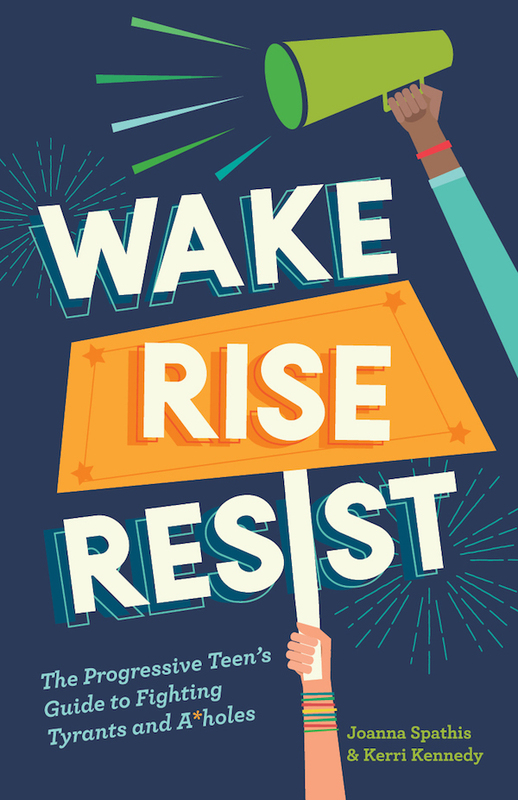 Fight off civic cynicism and disgust with Wake, Rise, Resist: The Progressive Teen’s Guide to Fighting Tyrants and A*holes. Our 128 actions lay out an easy-to-follow path for getting involved on any issue you care about, from the environment to LGBTQ issues to immigrant and refugee issues. The book’s well-researched ideas will help you feel more empowered and activated and ready to face current events once again. Wake up! Rise up! #Resist.